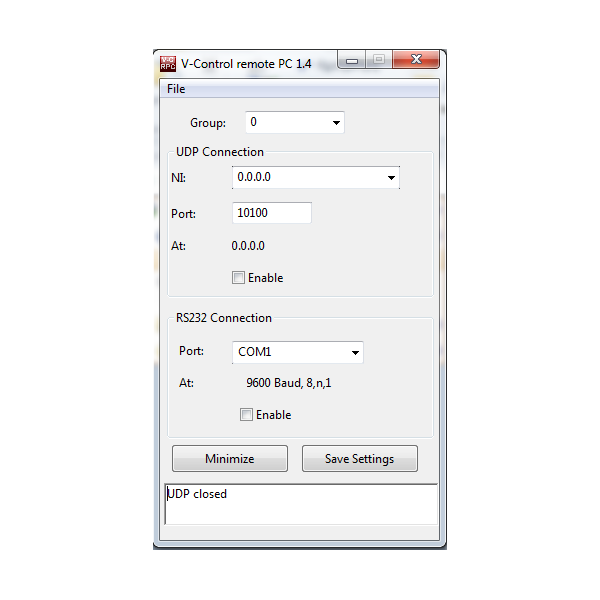 V-Control Remote PC is tiny software to control a PC programmatically. It is not comparable with VNC or Remote Desktop, and the desktop of the remote controlled PC is not exported to another PC. The software is useful if one need to control an application e.g. from a show control system. 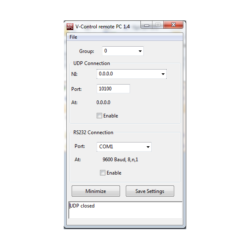 V-Control Remote PC receives commands via UDP or RS232 and execute these commands on the machine were it is installed. On Windows, V-Control Remote PC has advanced PowerPoint control capabilities. If the Computer that is running V-Control Remote PC has Powerpoint installed, then you can launch Powerpoint Presentations, control the presentation with Next / Previous commands or go to a slide by it’s slide number. V-Control Remote PC also return the number of slides, the current slide number and the speaker notes. These data can be used to create a GUI for the presenter or show control operator. 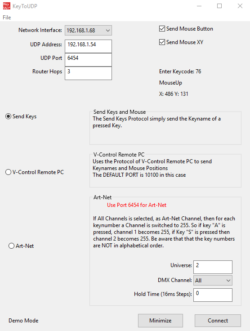 Use the Target textfield to enter an IP Address that shoud receive this information. Another very often used function is to shutdown a PC before switching of the power by a PDU. Before buying this product please download it for testing.